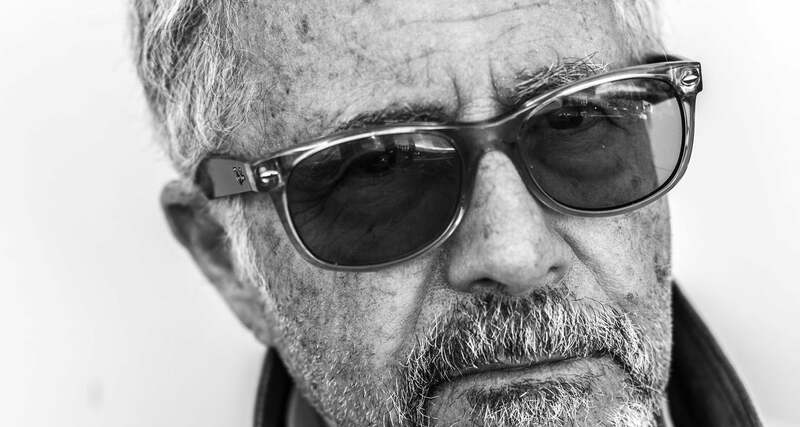 Guy Webster – legendary rock photographer, magazine publisher, motorcycle and bicycle enthusiast, Ojai stalwart – passed away this week at 79. 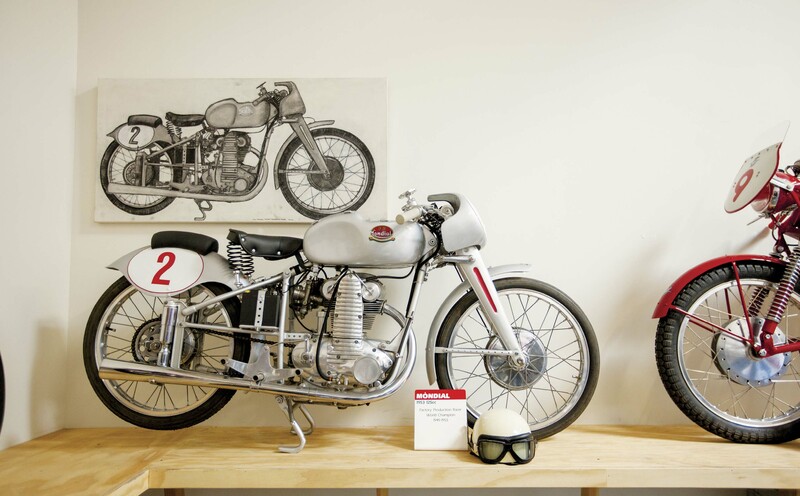 PELOTON was next door to Guy Webster’s office and motorcycle collection in Ojai, CA for five years. We’d often stroll in for a chat and a look at the latest pieces in his collection. He told us incredible stories of shooting rock stars and riding motorcycles all over the world. When Guy told us about his beloved, custom Cinelli and his time in Florence, in the 1970s, we had to know more about the ‘moto guy’ next door. From issue 39 of PELOTON Magazine, published four years ago. R.I.P. ‘Moto Guy’. Guy Webster has had a charmed life. It’s a fact he is only too happy to point out, referring often to his “lucky stars.” He grew up in an affluent Beverly Hills showbiz family, found incredible and almost immediate success in photography, and parlayed it into a life Cameron Crowe should make film about: travel, the ratpack, rock-music gods, models, mafia, magazines and movie stars. The constant thread that runs through all of it is the motorcycle and even today, at 75 years of age, Guy spends much of his time on or surrounded by his beautiful collection of motorcycles. Of course, look a little closer and that charmed life is revealed to truly be the result of talent, vision, hard work and, yes, serendipity. Upon letting his family know he wanted to blow off Yale grad school for photography, he was told he would have to make his own way financially. Given a foot in the door of rock photography, Guy simply reinvented the album cover, taking it from the staged, studio shot to a natural, documentary style that was perfectly in tune with the music of the era. He shot a who’s who of late-’60s and early-’70s rock icons—the Rolling Stones, Simon & Garfunkel, The Doors, The Mamas & the Pappas—and, by 23, Guy was rich almost by accident. At 15, after watching Marlon Brando’s “The Wild Ones,” Guy’s mother told him not to get a motorcycle—so he quickly went out and bought a Triumph Tiger Cub, hiding it from his mom at a friend’s house, and his lifelong love affair began. It was his second bike, a ’57 MV Agusta, that sparked his love of Italian bikes, a love not exclusive to motors. While living in Florence, Italy, in the 1970s he rode a custom Cinelli. But Guy’s true mistress is the motorcycle and his collection has been an extended love letter to her. At one time, his collection topped 300 motorcycles. Today, Guy has trimmed it to a small group of very special historic and modern Italian bikes in an Ojai studio in Southern California. 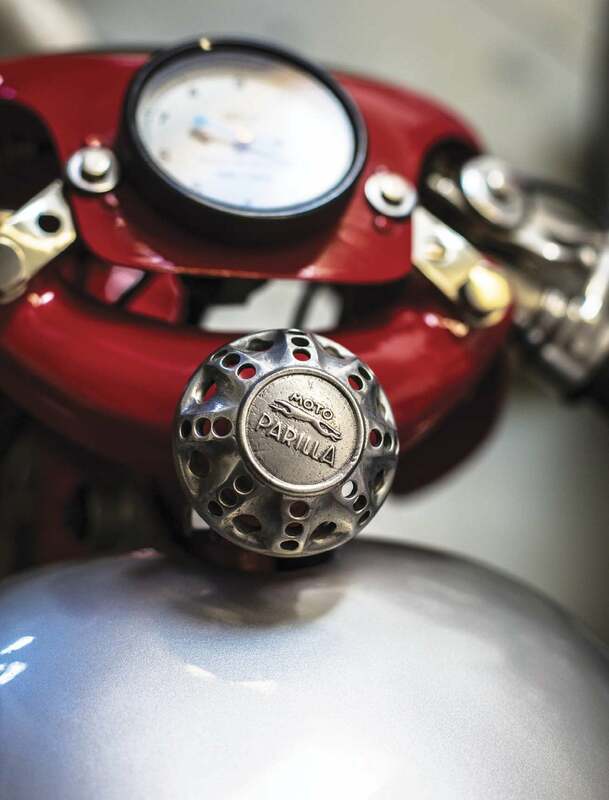 Thanks to that original ’57 MV Agusta, the Italian motorcycle has always been his passion. 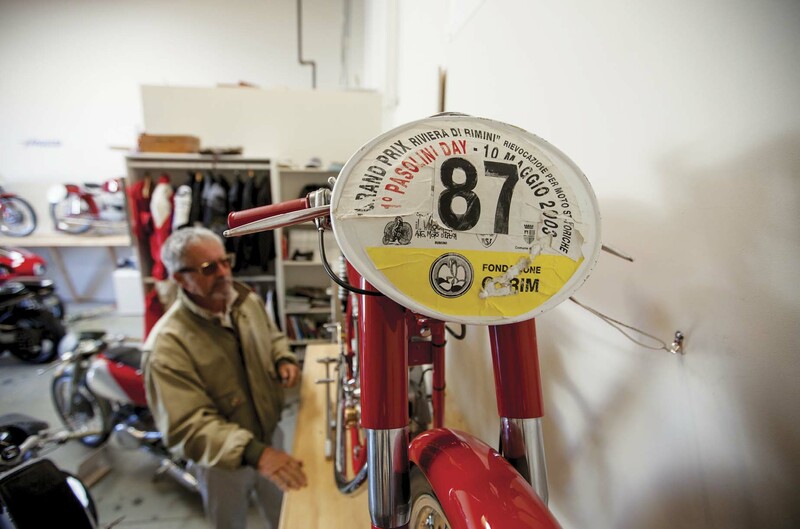 The studio is occasionally open to the public and huge groups of riders head to Ojai to see the collection when the motorcycle grapevine buzzes with the news that Guy will be opening his doors. There are one-off Grand Prix-winning bikes, ’50s production street racing bikes, F.B. Mondials, Ceccatos, Parillas, Ducatis and, of course, MV Agustas. Guy has ridden every single one of them, and each is in pristine condition. It’s a collection only a lifetime of passion could create and one that everyone who rides two wheels of any kind should thank their own “lucky stars” to see. Guy Webster has been in a reminiscing mood lately due to the recent publication of “Big Shots,” a book chronicling his work and life with many personal stories from the legends he photographed. To learn more about Guy and “Big Shots” hit guywebster.com. From issue 38. Buy it here. Read more about Guy in Variety.